Featuring the work of thirty eight independent photojournalists, this exhibit captures ordinary New Yorkers as they rallied, rioted, marched, and demonstrated. Featuring the work of thirty eight independent photojournalists, this exhibit captures ordinary New Yorkers as they rallied, rioted, marched, and demonstrated. These stunning images document historic moments of violent confrontation such as the Tompkins Square Park and Crown Heights Riots and as well as organized protests involving non-violent civil disobedience and creative street theater. Collectively, these photographs, which have never before been exhibited together, chronicle New York’s history from 1980-2000. 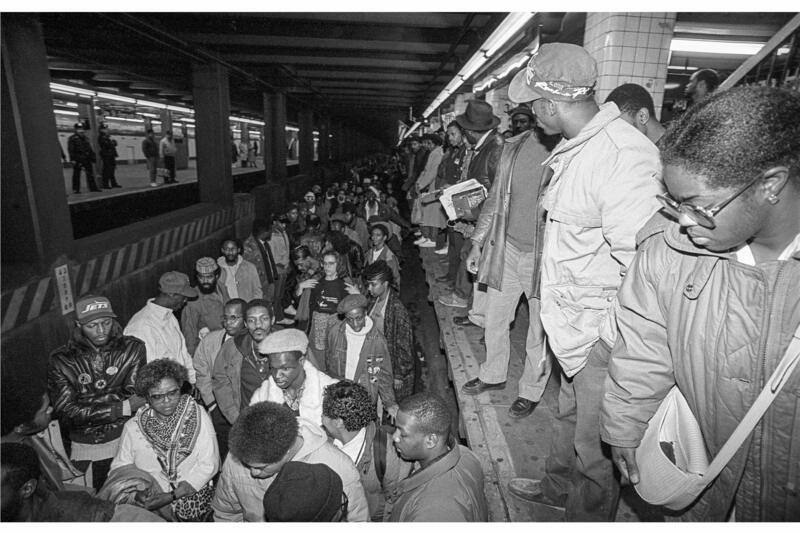 The exhibit is co-curated by Meg Handler, former photo editor of The Village Voice, historian Tamar Carroll, author of Mobilizing New York: AIDS, Antipoverty and Feminist Activism, and Mike Kamber, founder of the Bronx Documentary Center (BDC). The exhibit was designed and produced by the BDC’s Cynthia Rivera and Bianca Farrow. Nina Berman, Bill Biggart, Donna Binder, Donna DeCesare, Maximo Colón, Ricky Flores, Frank Fournier, David Gonzalez, Lori Grinker, James Hamilton, Meg Handler, Lisa Kahane, Mike Kamber, Gabe Kirchheimer, Carolina Kroon, Corky Lee, Meryl Levin, Andrew Lichtenstein, Tracey Litt, Dona Ann McAdams, Thomas McGovern, Tomas Muscionico, Marilyn Nance, Edwin Pagán, Brian Palmer, Clayton Patterson, Mark Peterson, Sandra-Lee Phipps, Sylvia Plachy, Alon Reininger, Richard Renaldi, Clarence Elie-Rivera, Joseph Rodriguez, Linda Rosier, Q. Sakamaki, Richard Sandler, Catherine Smith and Les Stone.